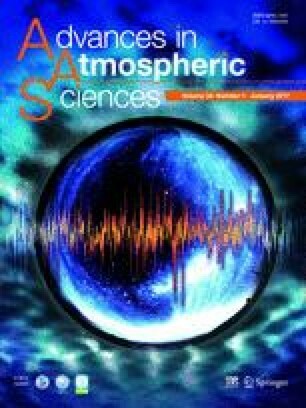 To determine the performance and data accuracy of the 50 MHz Beijing Mesosphere–Stratosphere–Troposphere (MST) radar, comparisons of radar measured horizontal winds in the height range 3–25 km with radiosonde observations were made during 2012. A total of 427 profiles and 15 210 data pairs were compared. There was very good agreement between the two types of measurement. Standard deviations of difference (mean difference) for wind direction, wind speed, zonal wind and meridional wind were 24.86◦ (0.77◦), 3.37 (−0.44), 3.33 (−0.32) and 3.58 (−0.25) m s−1, respectively. The annual standard deviations of differences for wind speed were within 2.5–3 m s−1 at all heights apart from 10–15 km, the area of strong winds, where the values were 3–4 m s−1. The relatively larger differences were mainly due to wind field variations in height regions with larger wind speeds, stronger wind shear and the quasi-zero wind layer. A lower MST radar SNR and a lower percentage of data pairs compared will also result in larger inconsistencies. Importantly, this study found that differences between the MST radar and radiosonde observations did not simply increase when balloon drift resulted in an increase in the real-time distance between the two instruments, but also depended on spatiotemporal structures and their respective positions in the contemporary synoptic systems. In this sense, the MST radar was shown to be a unique observation facility for atmospheric dynamics studies, as well as an operational meteorological observation system with a high temporal and vertical resolution. We acknowledge the use of data from the Chinese Meridian Project. This work was supported by National Natural Science Foundation of China (NSFC Project No. 41127901) and the Chinese Meridian Project.